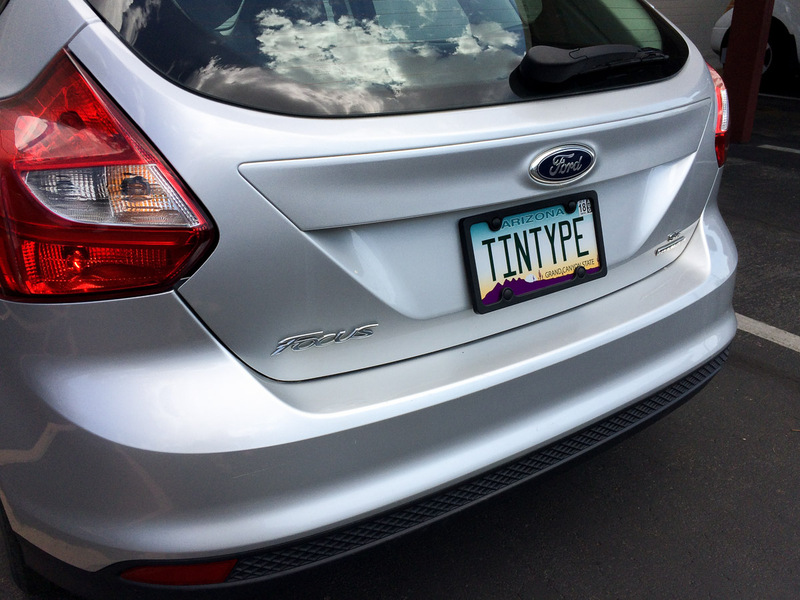 When I recently had to renew my license plate I decided to have some fun with it. This weekend I finally made a fitting photo to share. 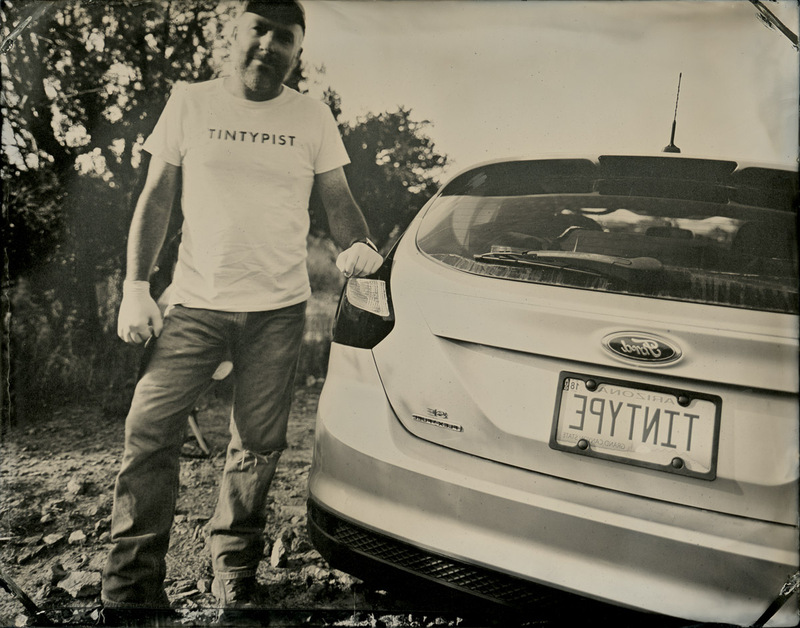 For those not in the know: tintype images are, by nature, upside down and laterally reversed, which is why my license plate, Ford, and everything else is backwards. For those now confused: I made my own t-shirt, with reversed lettering on the shirt, so that when I make a tintype of it the words render correctly. And it’s on a Focus, too. Get it? Focus? November 11, 2017 | Filed under Gear, Geek, Tintypes, Travel.